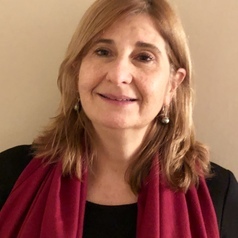 Dr Clara Della Croce is a Senior Teaching Fellow at the School of Oriental and African Studies (SOAS), University of London and an Associate Lecturer and Knowledge Exchange Fellow at Oxford Brookes University . Clara's areas of expertise are human rights law, refugee and immigration law, development law and European law. In the past, she worked for the United Nations in Geneva, the Organisation of American States in Washington D.C. and as a lawyer in Brasil and in the UK. For the past ten years, Clara has been involved in different projects dealing with refugees, asylum seekers and immigration detainees in the UK. Currently, she is researching on labour market integration of refugees in the UK, immigration detention and bail issues. Clara is also part of the steering committee of the Bail Observation Project (BOP).